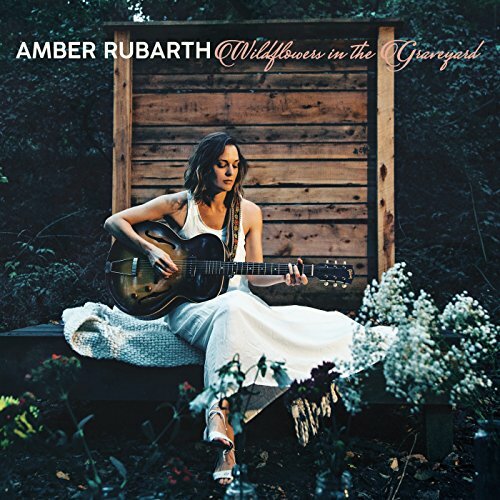 Previously, I looked broadly at how Amber Rubarth's title track "Wildflowers in the Graveyard" calls for contemplation of death in its many images and linguistic twists. I spoke generically to limit specific thoughts and linguistic enumerations at risk of derailing the piece. But I'd like to get into some specifics by looking at some other tracks on her album Wildflowers in the Graveyard. I'd like to start today by (perhaps carelessly) expositing the lyrics of the track "Moon." Apophenia is defined as "the tendency to perceive a connection or meaningful pattern between unrelated or random things." As an engineer, I've been accused on more than one occasion of suffering from pareidolia which is a type of apophenia in which a person perceives patterns in random stimuli. It's a coping mechanism for making sense out of chaos. To a certain extent we all do it I imagine. But it is perennially a part of how I listen to music. And as the moon is hanging way up high, you are weighing on my mind. I will give you to the dark, offer up my ways. You’re still with me in my heart every night and day. As the moon is hanging way up high, I’ll be staying here tonight. Who having lost somebody close to them has not spent evenings with the individual "weighing on [their] mind?" Clearly, this is not an experience exclusive to those who have lost someone to death. God made man to be communal and many detractions from relationships cause emotional weight. Sometimes it can be an oppressive weight that is indiscernible in origin. Yet, I believe it is the human experience that at some point they have felt that weight. That moon hangs high whether one can acknowledge or see it. Similarly, it is poetic to say "you're still with me." But if I am honest, I sometimes wonder what this could possibly mean. Particularly for Christians, there is more truth to "I will give you to the dark [of bodily death]" than an emotively true but vague "still with me." With that question on the table, in what way does contemplating death provide new language to answer this? I personally, at times, have associated it with pain. Residual, lingering pain of a loss can reflect the "still with me" present in mind and heart. If you find as you go that change is in your heart, take a lantern down the road underneath the stars. As the moon is hanging way up high, I’ll be waiting for a light. Based upon the articulation of these lyrics, I suggest it is in anticipation of return that the fullest expression of "with me" is found. This might seem a contradiction. Perhaps it is an unqualifiable paradox. Yet, I believe there are kernels of Christian eschatology present. We await the return of those believers who have gone before us. Perhaps said more Scripturally, we are awaiting their return in the train of our Savior's revealing (1 Thess. 4:13-18). We are not left as those without hope. We remain those waiting. Read in this light (not an immediate pun), the words of Rubarth become a soulful but softly whispered plea that the Christ with those "who have fallen asleep in Jesus" (1 Thess. 4:14) would return. Until then, some of us will have late nights waiting "for a light."